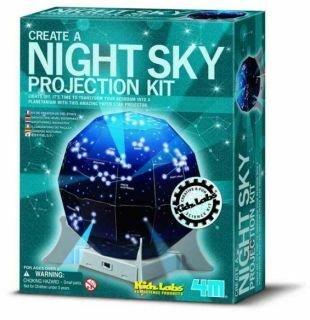 Make a cardboard star projector to transform your bedroom into a starry night sky. Kit comes with night sky dome of northern and southern hemispheres, lamp and lamp switch, dome base and supports and detailed instruction. Required but not included: 4 "AA" batteries, a fine point pencil/nail.